It is not very known fact. At least it was in my case. I was a bit surprised when I realized that my DTP created on top DataSource which was extracting data from it via PSA didn’t pull any data. My case was that I had a filter on DTP where pattern selection was used. Precisely speaking I had a wildcard used for selection like *something*. Once I ran it no data came. I tried to put precise value instead of the wildcards and it worked. 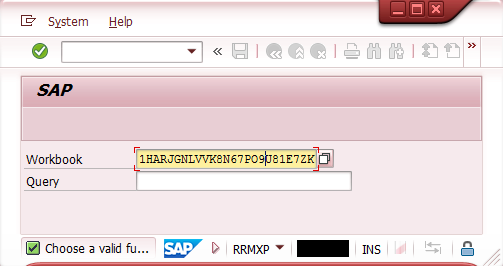 I turned to SAP Support portal and I found a SAP Notes explain this behavior. Actually this feature is not available in some of BW system. Depending on version of the BW it is only available in higher SP packages. TO be able to use this feature BW needs to be upgraded to these specific versions of the SP – see below. Some time ago I spotted strange behavior in BEx query related to text of fiscal period IOs. 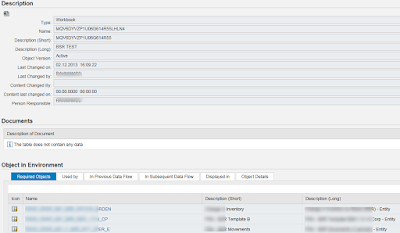 In case of 0FISCPER when I entered value of 01.2012 on the query selection screen the text associated with it appeared as March 2012. Similarly for other months there were texts that didn’t correspond to the entered months at all. Also in query output where values of all variables used in query were shown the text again didn’t match the entered fiscal period. In case of the 0FISCPER the texts are taken from standard SAP table T009C - Period names. The table has also field Fiscal Year Variant (PERIV) specified as a key field. From that fact it is obvious that to get proper value of text for particular fiscal period the Fiscal Year Variant must be present in the query. If the key of Fiscal Year Variant is not present in the SELECT statement that used by query to retrieve the text then first entry that fulfils the SELECT is taken and most likely it is wrong. 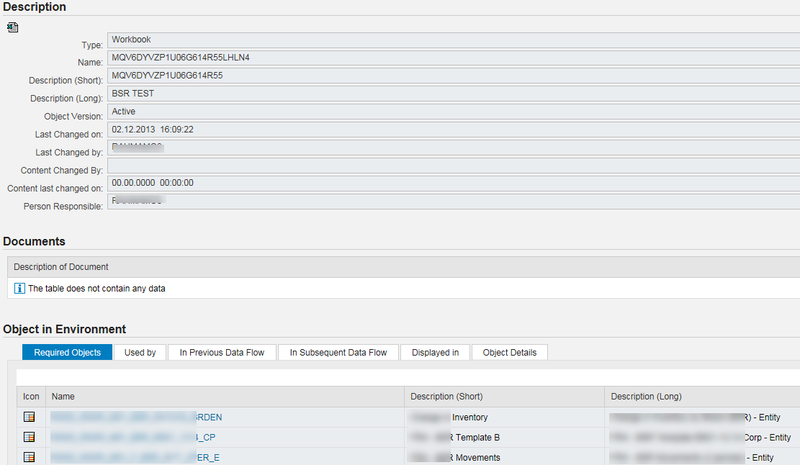 Actually in case of my query where the texts of fiscal period didn’t work was missing 0FISCVARNT IO in the query. Once I added the 0FISCVARNT into the query global filter (restricting it to value of K4 in my case) issue was fixed. The query properly determined the text of fiscal period used in the query. There wasn’t any ABAP dump generated in BW system so it was obvious (also as per errors) that issue is in target external system that is picking up the data from Open Hub. I had a look into the FM mentioned in the error – RSB_API_OHS_3RDPARTY_NOTIFY as well. The source code of the FM looked strange to me. What that “must be implemented in 3rd ..” means? After some more investigation it was clear. The FM is called by 3rd party system once extraction for the OH is done. The FM basically just sends back to called system information on how many data were extracted. All this is sent over in parameters of the FM – Req ID, no of records etc. To just transmit this basic info there is no need to put any additional code. Now let’s came back to the error itself. This is basically connection error between the BW and target extremal system. Once connection between the two was re-established the load was successful. Here are few options how to find workbook in the SAP BW system. 1. 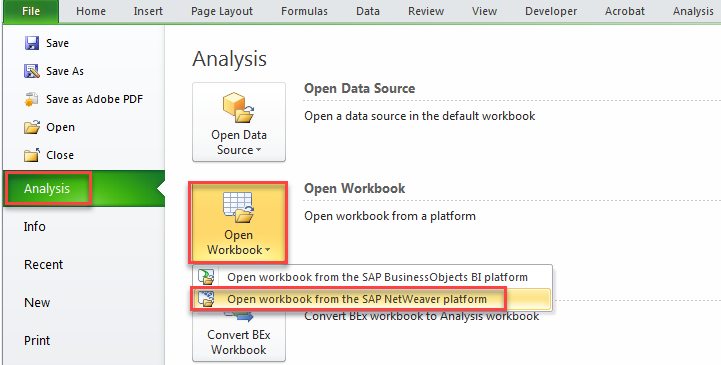 Via BEx Analyzer: in menu of Analyzer called Open -> Open workbook. This give only list of workbooks that user is authorized to authorized to access to. Either via menu role, favorites etc. 2. Via Analyzer Office for MS Excel: in menu Analysis -> Open Workbook -> it can be opened either from BusinessObjects platform or from SAP NetWeaver platform. Here again only access to the workbooks that user is authorized to access. 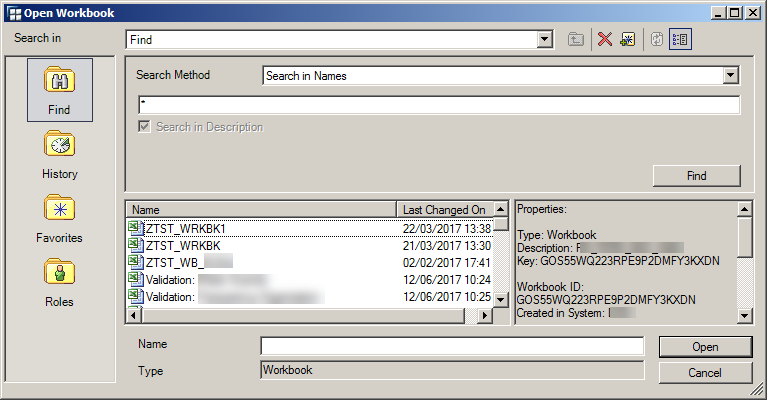 Just these workbooks are not those created in BEx Analyzer but either migrated to AfO or newly created in AfO. 3. Via RSA1 – Metadata Repository: in t-code RSA1 -> Modeling -> Metadata Repository all the workbooks from all users available are listed. While drilling into it all details like what queries are used in the WB, who created it, when, last change and many others also can be found. 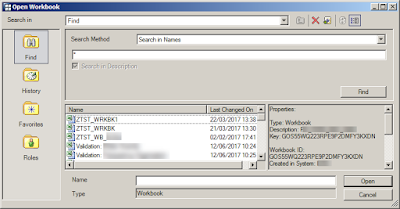 5. t-code RRMXP – program RRMX_START_EXCEL, here you can specify workbook technical ID and once it is entered it opens BEx Analyzer with particular workbooks.